This 25-minute live show teaches K-6 students how electricity is made, the uses of electricity, how to identify dangerous electrical situations and how to stay safe around electricity. 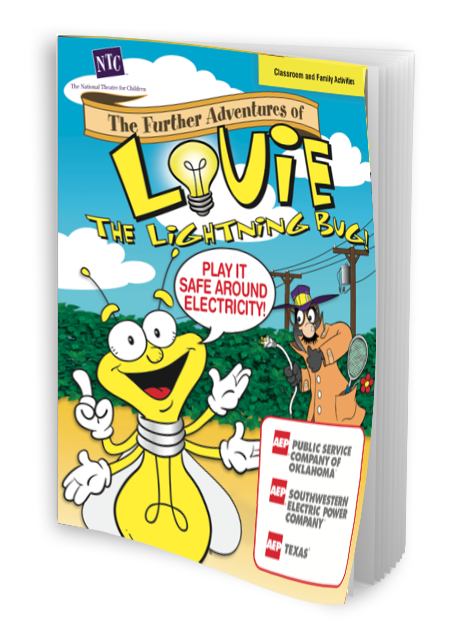 Louie the Lightning Bug is world famous for being an expert of electrical safety. When reporter P.J. O’Snork arrives to conduct an interview, she finds quite the surprise—Louie is missing! P.J. sets out on a mission to find him, and along the way she discovers that Santorini, the self-described Man of a Thousand Disguises, is up to his old tricks. P.J.’s investigation reveals that Santorini is encouraging people to engage in all sorts of dangerous electrical practices. Can she catch up to Santorini and teach him the error of his ways? With the help of some students—and of course Louie the Lightning Bug—maybe it’s not too late to spread the word on how to be safe! 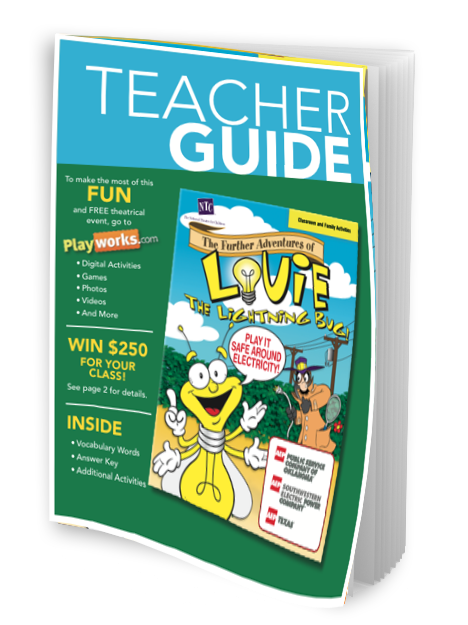 The Further Adventures of Louie the Lightning Bug aligns with Next Generation Science Standards & Common Core English Language Arts Standards.